The game elements you choose to include in your game should be carefully selected, with a focus on making the play experience fun and facilitating/enhancing the learning experience. In last week’s post I introduced game elements as a whole, and provided a more in-depth description of conflict, cooperation/competition, and strategy/chance. 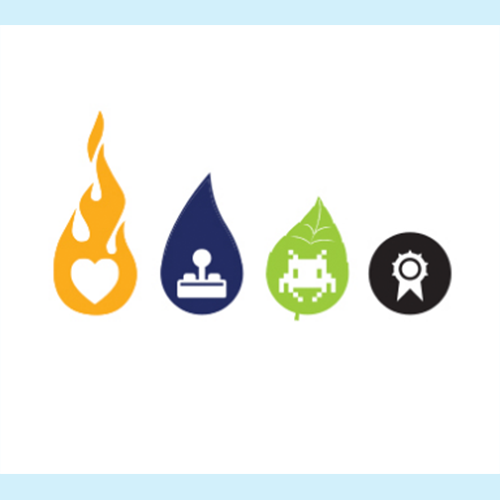 This week’s post focuses on the next four game elements to consider when developing your learning games: aesthetics, theme, story, and resources—with time considered to be a fairly significant resource. Compare these two game boards, for example. Which one would you rather play? http://opengameart.org — has some nice graphics bundles you can download and use in your digital games. A theme can add interest and create engagement. In the game Forbidden Island, the theme is conveyed through the visuals and a “back story” that is included in the rules. There is no narrative running through the game, but the back story and the aesthetics convey the theme of a mythical, mystical island. Knowledge Guru uses thematic elements to convey the idea of theme even though there is no real story. When creating a learning game, ask yourself whether a theme can enhance the learning experience and create interest for the learner. Example: We’re working on a game story right now that uses the theme of an alien invasion. We have a detailed story to go with it. Players have to successfully demonstrate knowledge of incident investigation to thwart the aliens and rescue their fellow workers. Our story has characters: the player who represents a worker, a learning agent who represents an expert cohort, and the Martians who have invaded with Dr. E.L. Snatcher as their leader. It has a plot: an invasion has happened, workers have been captured. It has a conflict: Martians against the human workers. And it has resolution: the resolution comes if the player can successfully use knowledge of incident investigation and rescue all his co-workers. Notice how the images below help evoke emotion and interest in the story itself—hence, the relationship between story and aesthetics. Should I use a story? Should I couple my story with a theme? Will it help my game or make it too complicated? How much story do I need? Do I need just enough story to convey a theme? Or do I need to immerse players in the story to provide the right learning experience? Example: The stories used in Settlers of Catan or Forbidden Island are really “back stories” used to set up the game. The story doesn’t drive the game itself. This contrasts with some of the intense video games. How do I integrate story? Do I make each player a separate character? If so, who do they represent? Is it a fantasy character or does it represent something with real-world context to their job or situation? Resources are often defined as part of game mechanics, but they are the tools the player has available within the game to help them achieve the goal. Common resources include money, tools, building materials, etc. In the game of Monopoly, resources include money, real estate, houses, and hotels. All have value within the game and all contribute to helping a player win. In Settlers of Catan, players very literally have cards called resources. These include sheep, ore, wheat, and bricks. Players can use resource to purchase buildings or Development Cards, or they can trade for other resources. What resources make sense given the skill or knowledge you’re trying to teach? Do I need to include currency to represent something, or would that be a distractor? Do you want to incorporate time: time can be a resource, it can be a constraint (e.g. you have to complete a task within a specified amount of time), or it can be a means of compressing real-world time into a more manageable amount of game time. 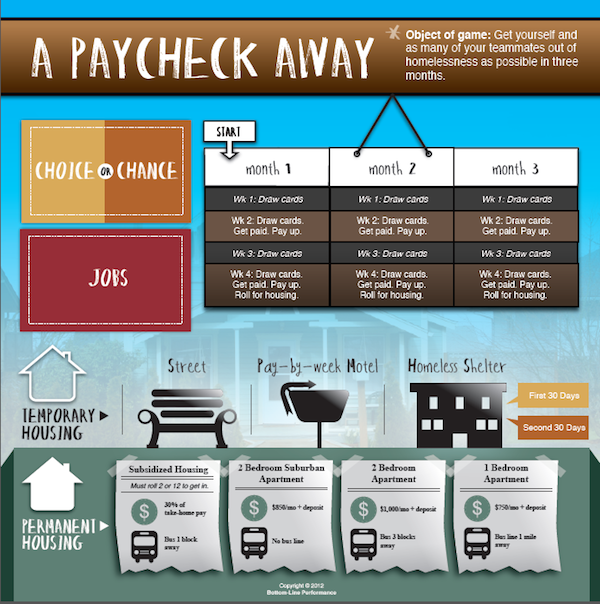 Example: In A Paycheck Away, we compress three months of homelessness into a 90-minute game play experience. If I want to incorporate time, do I want to use it as a resource, a constraint, or a means of compression? Example: In Knowledge Guru, time is not a factor at all. We originally designed it as a constraint—giving players two minutes to complete a round of play—and we found out that this actually detracted from the game play rather than enhancing it. Consequently we eliminated it. In my last post, I talked about game mechanics. These are the rules and procedures that guide the player and the game responds to the player’s moves or actions. Now we’ll move on to game elements. Note: Because there are so many, this post focuses only on the first five. I’ll be covering the others in my next posts. For a game to be interesting, there needs to be some sort of conflict. Conflict comes in many forms, but it always represents a challenge for the player to overcome. The challenge could be physical obstacles, it could be combat with another player, or it could be a puzzle that has to be solved. Given what I want people to learn, what conflict is most appropriate? Should I incorporate a conflict that arises with other players or should I incorporate challenges that all players work together to overcome? Or should I include some sort of challenge against the game itself? Example: puzzle-style games are really a challenge that pits you against the puzzle. How can I best represent the real-world conflicts I want people to deal with? Example: conflict between quality and time constraints or quality and budget. What game mechanics can I create to simulate the real-world conflicts/challenges players encounter? With learning games, cooperation is often a better element to use than competition alone. Direct competition with other players can demotivate learners or set up a negative dynamic. In contrast, cooperation between players to overcome a game challenge can often motivate players and foster teamwork. Cooperation gets people working together; competition pits people against one another. Only one person or team wins—while everyone else loses. The players’ focus is very different depending on which element you employ or how you combine the two elements together. Competition can be appropriate, but you need to consider the outcomes it can produce. Do my players need to compete in the real-world or is competition not a factor in using the skill or knowledge I want people to learn? If competition is part of the real-world context, do I incorporate it into the game as players working together to beat the game or as players competing against each other within the game? Will competition motivate or demotivate the target group I’m designing the game for? What negative consequences might occur if only one person wins and everyone else loses, and how do I manage those emotions? Strategy puts control into the player’s realm in the form of decisions they can make that affect gameplay or their odds of achieving the goal. On the other hand, games that are heavily based on chance put the player in a highly reactive mode, one where they have little control over the outcome. A game can have neither strategy or chance, it can combine both, or it can only focus on one. Gambling games are largely games of chance. Games with little or no strategy or chance built in can be less interesting to play than those that use these elements. Do I blend strategy and chance in a way that mirrors the skill I want my player to learn, or the context in which they will have to apply the skill? What control do players have in the real-world over decisions? How do I design that into the game? 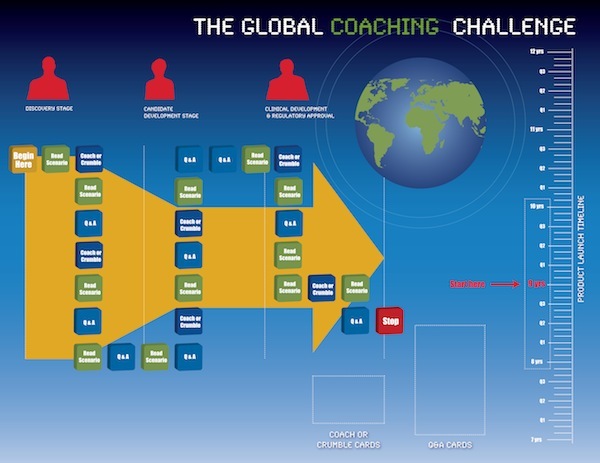 Example: We devised a coaching game for a global company that wanted to reduce its product development and launch timeframe from 10-12 years to 8 to 10 years. They felt coaching was one means of reducing this timeline. We also knew, though, that sometimes factors outside someone’s control would affect the development timeline… so we included chance as an element. When players landed on specific spaces on the board, they drew a “Life Happens” type of card that either positively or negatively influenced their timeline. Strategy played no part in the effect. These cards simulated things such as an economic downturn, a hiring freeze within the company, a loss of budget dollars, etc. Example: I designed a game to simulate the pressures of maintaining the company value of ethics and honesty while dealing with last-minute requirement changes from a federal agency. In essence, if players hadn’t planned well, they ended up not having enough time to test their products before the regulatory agency arrived to inspect things. Many players signed forms in the game indicating that tests had been performed. The game mimicked a real-world issue, and my strategy elements were designed to support this. 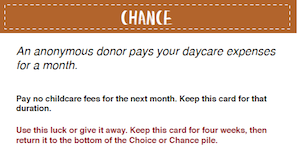 Example: The cards below are from A Paycheck Away. They are chance cards that players have to draw on each turn. These simulate real-world things—good and bad—that can happen but which the player has no real control over. In my last post, I talked about getting familiar with game elements. Specifically, I focused on game goals and game dynamics. Now we’re going to shift our focus to game mechanics. A game’s mechanics are the rules and procedures that guide the player and the game response to the player’s moves or actions. Through the mechanics you create, you define how the game is going to work for the people who play it. So just to be clear, the mechanics describe rules the player follows and the rules the game itself follows. The mechanics listed below are all from digital games I’ve helped develop—they are coded into the game. None of these mechanics are explicitly stated for the player. But players can often figure out what the mechanic is as they play the game. When players respond incorrectly to a question they get immediate feedback on what a correct response should be. This is followed by an opportunity to re-try answering the question. Correct responses to Path A questions earn players 50 points. Correct responses to Path B questions earn players 250 points. And correct responses to Path C questions earn players 1000 points. The scoring algorithm is a great example of game mechanics that the game itself follows. A player earns sales dollars for each appropriate, relevant question they ask the customer. A player loses sales dollars if he chooses an irrelevant question to ask. If a player chooses to ask a “neutral” question, he doesn’t gain or lose any dollars. In the sales game, the dollars earned or lost by asking the customer questions directly links to the real-world responsibility of sales reps to ask meaningful questions of their customers when issues arise. Sales reps who know their stuff and can ask relevant questions are going to find it easier to meet sales goals. Reps who do not know how to ask good questions may not. This game mechanic supported and encouraged the real-world behavior the company wanted to see. In the Knowledge Guru game, the mechanic is to provide immediate feedback to players who miss a question and then let them immediately try again. This game mechanic supports the learning principles that repetition helps cement memory and that feedback helps people learn. Immediate feedback, coupled with an immediate opportunity to re-try, further cements memory and the ability to recall the information later. 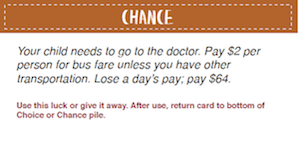 In the game A Paycheck Away, we wanted to simulate the real-world experience of being homeless. This includes the difficult choices, the unexpected events that throw a person off course, the challenges of securing housing. Our game mechanics were critical to mirroring these real-world challenges. One example is the roll of the die at the end of each month. This equated to the real-world question of whether someone would be allowed to remain inside a homeless shelter once 30 days elapsed. In the real-world, shelters often have a rule that requires people to leave after 30 days, but they will make exceptions if the shelter doesn’t have a waiting list. Game mechanics can also make gameplay more, or less, fun. Don’t assume you can define the mechanics at the start of your game design journey and then never touch them again. It’s critical to test and tweak game mechanics. You may think a game mechanic will be great, only to find out via play-testing that it is hindering the players’ perception of your game’s “fun factor.” Or worse, actually hindering the learning experience. Conversely, you may discover you need to add a game mechanic that you hadn’t considered until you watched people play your game. Example: In early renditions of The Knowledge Guru, game play occurred in timed rounds. Players got a round of 10 questions with two minutes to answer all 10 questions. They were penalized for failing to answer questions in the two-minute time period. Those who were wildly competitive (and fast readers) liked this mechanic. However, the majority of players did not like this mechanic, and it actually demotivated them. They felt their ability to read fast was a factor in doing well—and fast reading wasn’t the learning point of the game. We eliminated the time element, which improved the learning experience and didn’t detract from the play experience as we feared it might. Of course, we also tweaked other mechanics in the process. It took us numerous variations on scoring to get it to a place we, and the players, were happy with it. You want your game mechanics to be clear, enhance the game play experience, support your game goal, and contribute to the learning experience. They are not an afterthought. They are a critical component of a good game design. You will not get them perfect on your first design attempt. You’ll want to test and tweak—but this is all part of the game design process. Playtest. Playtest. Did I say playtest? 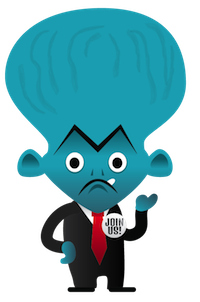 Earn topic mastery across all topics and become a Knowledge Guru. Achieve territory sales of $700K and maximize customer satisfaction. Build and test a bridge that meets all stated specifications within 45 minutes. Get all players out of homelessness within 3 months’ time. The game goal isn’t the same as a learning goal or a learning objective. For instance, in the elevator game (Goal 5 above), the learning goal is to be able to identify the tasks associated with the 5 steps of incident investigation. We’re using a game in which you have to get everyone off the elevator to help people learn tasks and steps. If you use this game dynamic in your game, then you have players competing against each other or against the game system to be the first one to finish a task, reach a destination, hit a specific target, etc. Milton Bradley’s Game of Life is a race to the finish game. MarioKart is a very literal example of a race to the finish game. It’s a common dynamic and it’s pretty easy to design games that use it. In collection is the dynamic, then the game goal is achieved by collecting one or multiple things. Knowledge Guru uses a collection dynamic. Players have to collect Topic Mastery badges. Once they get all of them, they become Knowledge Gurus. Trivial Pursuit is a combination of Collection and Race to the Finish: first you have to collect a set of colored chips and then you have to be the first player to make it to the center circle and correctly answer a final question. In this dynamic you are trying to acquire territory, land, or real estate. Risk is a classic example of this type of game. Monopoly is a game that combines Territory Acquisition and Collection dynamics together. Games that use this dynamic require players to solve puzzles or problems. Players are trying to figure something out. The board game Clue uses the Solve dynamic. Adventure-style games (such as Machinarium) use this dynamic as well. This dynamic is used a lot in adventure games where you have to get to a treasure and then get out of a castle, off an island, etc. Forbidden Island combines collection (getting four treasures) with escape—get off the island before it sinks. In this dynamic, you have to get things in order. Many puzzle games use this dynamic by having you get all colors or shapes in a certain order to win the game (think Bejeweled). The game of Sims uses this dynamic. Your goal is to build things. Minecraft also uses this dynamic. Your goal in Capture games is to capture something that belongs to your opponent. Checkers is about capturing your opponent’s checkers. Capture the Flag is literally about capturing the opposing team’s flag. The game’s “fun” is partly dictated by how engaging the players find the dynamic you’ve selected. When you are creating initial prototypes ask yourself, “How would the game change if I changed the dynamic from X to Y?” (e.g. from Race to the Finish to Capture) Then try it and see what happens. Sometimes a dynamic will logically align with a learning goal. Think about whether this may be true for your project and leverage dynamics that make sense. Make sure you distinguish between game goals and learning goals. Get familiar with plenty of different game dynamics, and think about how you can incorporate different dynamics into your learning games. Experiment with blending a couple of dynamics together. Find out what happens if you change a dynamic entirely. If you design learning games please feel free to comment and share. I’d love examples and discussion! 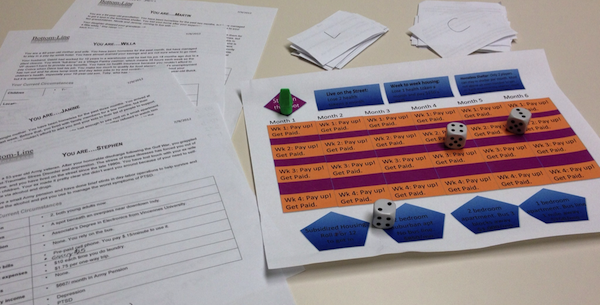 This post focuses on the first step to design learning games: play and evaluate games. If you don’t like playing games, don’t try to design a game because you’re going to hate this step. Game design is a bit like writing a book; you’d never attempt to write a book if you first hadn’t spent time reading and evaluating several books. Those who would attempt to write a book without having ever read one probably wouldn’t create any great work of literature. Why the focus on fun? Because the fun in a game helps learning happen—or is the learning. Fun is not frivolous; it’s integral to a successful game. 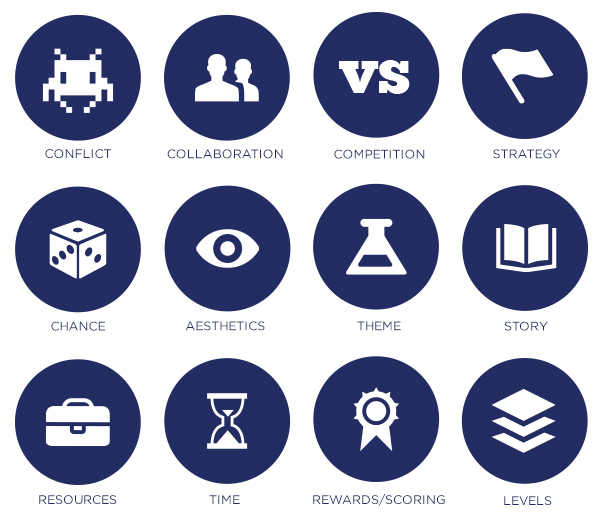 Kevin Werbach, in his Coursera MOOC on gamification, identifies eight types of fun in games. These eight types of fun all happen to integrate nicely with learning, or are things people need to learn to do. You think this doesn’t link to the workplace? We all like to achieve a win state – over a challenge, over a competitor, over ourselves – beating a previous personal best, for example. Humans are goal-driven creatures. Goals are highly motivating to most of us and achieving them is very satisfying. Goals in games that link to the real-life learning we want a target group to do can be powerful and effective. You can find goals everywhere in business: reducing percentage of scrap, reducing number of safety incidents, increasing sales by X, adding X customers. There’s behavior change required to achieve most goals; that frequently requires learning how to do something differently or better than you currently do it. This can be triumphing over a competitor, or the game itself, or over individual challenges within the game. Many of us enjoy feeling victorious, particularly if we gained victory by mastering a difficult problem or challenge. We have feelings of triumph in the workplace as well: vanquishing a difficult project, prevailing against difficult business odds or challenges, etc. A highly valuable business skill, this is a fun element of many games, too. People get social and emotional satisfaction out of collaborating with others. Often people enjoy collaboration much more than they enjoy competing. And organizations want people to collaborate in the workplace to achieve business results. Games like Sims, Minecraft, and Civilization are about doing these things – and many people find exploration and building powerfully motivating and “fun” to do – so fun, in fact, that they can spend literally hours of time doing these things within a game. These are key skills inside the workplace. Exploration is an underrated business skill that closely links to something more people understand within business: research. Lots of games feature a collection “dynamic” where players’ goal is to collect certain things. Poker is essentially a collection game—collect the best cards and you win. The Pokemon card craze of a few years ago is about collection. 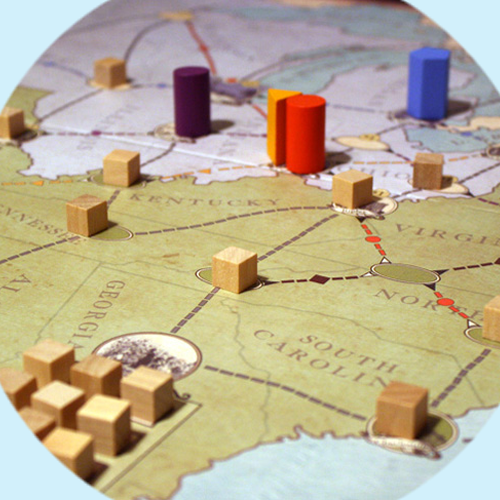 The board game Risk combines collection—acquiring territories—with strategizing. How will you gain those territories? Collection appeals to many people’s sense of fun and can be incorporated easily into learning games. In the business world, we often have to collect information before we can move forward with decisions. These are higher-order thinking skills that lots of people enjoy doing. Consequently games that feature these elements have lots of fans. Chess is a classic example of a strategy game. World of Warcraft is a modern-day example. Games in the adventure genre are all about problem-solving—figuring out how to get from Point A to Point B. Problem-solving and strategizing are part of growing and managing any business, and most jobs within a business. Many games allow us to do one or both of these things and people love doing them. Second Life, a once-popular virtual environment, leveraged people’s desire to role play by allowing people to create avatars to represent themselves. Fantasy can provide a powerful means of letting people feel free to try new behaviors and acquire new skills while feeling safe and minimizing fear of failure. 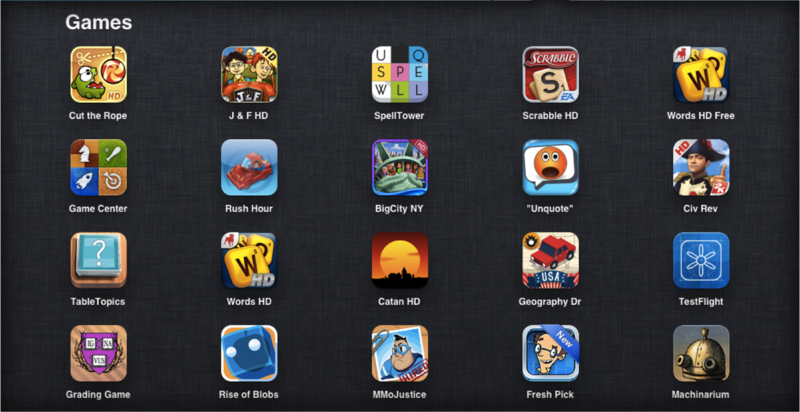 This folder contains a mixture of traditional games (Scrabble), popular games (Words with Friends, Cut the Rope), puzzle-type games, adventure games, arcade style games, etc. It’s highly eclectic. Some of these games I may only play once; others I will play multiple times (even if I don’t like them very much). I still want to understand what makes them popular, why some people think they are fun, and what mechanics within them might trigger an idea I could use in a game I create. What’s the game goal? Is it clear? Is it compelling to me? Why or why not? What’s the game’s core dynamic? Is it exploration, collection, “race to the finish,” solve—or a blend of two different dynamics such as collection AND race to the finish? Are the rules clear? How do I learn them? What game mechanics (aka rules) make the game most fun? Which one(s) would I change? What would happen if I did? Do the aesthetics of the game draw me in? What emotional reaction do the aesthetics elicit in me? Is the game “balanced” in the sense that it accommodates different player levels? How? What’s the balance between strategy and chance? Do I feel like I have control over the outcome by the choices I make in the game or do I feel the outcome is almost all chance? Is the game cooperative, competitive, or a blend of both? If the game is competitive and I lose, how does this make me feel? Does it motivate me to play again or do I want to avoid playing again so I can avoid losing? If it’s a digital game, how easy is it to navigate? Can I quickly learn by exploring? Finally, as a learning game designer, what elements from this game could I use in a game I design? Here’s a starter list of six games to play and evaluate. One of them is a board game, the other five are digital games. In my suggestions I’ve included some notes of my evaluation of the game design and game play to show you how I do it. (I’m not saying this is the only right way—just my way). Keep in mind I am including games in this list that I do not consider to be fun. You have to play some bad with the good. It helps you contrast and compare. This game leverages both cooperation and competition. I like that. I also notice that it is pretty difficult to win this game without cooperating with others. The strategy is figuring out when to cooperate and when to refuse to cooperate. This game offers a lot of possible ways to win/strategies to employ. I consider this to be a plus. I can focus on earning achievements that can help me toward victory (longest road or largest army). Or if I want, I can blend a variety of these strategies. The game isn’t easy to learn from reading the rules—if we translate “easy” as taking 5 minutes to learn (aka Apples to Apples). I don’t take this as a negative because the game offers a rich playing experience. However, I do think I should be able to master the basics with one or two game play experiences. The game incorporates chances to even out the odds and allows players to trip each other up. It does so via a nonplaying character – the Robber – who can mitigate the power of any one player or to help a player who is losing shift his/her fortunes. The Robber works best when there’s four or more players. It doesn’t work as well with only two players. Many players have figured out how to adjust the rules for the Robber to offset this, which is interesting to me. The game communicates the odds of any dice role as part of the playing board, which is interesting. I can factor those odds into my decisions on where to place my settlements and cities. This gives an element of strategy to something typically thought of as only chance. Again, a very interesting and useful game design technique that I might want to use myself. Now, here’s five other games for you to play and evaluate. I’ve given you one or two things I’ve noted, but you can come up with plenty more on your own. This is an old-style adventure game. Pay attention to the complete lack of rewards and achievements in this game. Why aren’t there any? Does it need them? (No, the task is the reward. It’s interesting to solve the challenges. The reward is the satisfaction from solving the challenges.) Other things to evaluate are the aesthetics and the contrast between game play on the desktop and the iPad. This is a horrible game that is the complete opposite of Machinarium. It’s FULL of rewards and achievements because it makes money from in-app purchases. See what you think about the sheer volume of the awards and achievements and how long the game holds your interest. I loved this game design. I thought it was very clever. See what you think about the aesthetics, the game goal, the use of negative, almost mean, feedback (traditionally a no-no in learning games), and the very punitive use of time as a constraint. On the negative side, what do you think of the placement of the “teach” info on grammar rules? Could that be improved? If so, how would you do it? This game is targeted toward grade schoolers. Pay attention to the aesthetics, the reward system, and the strategy choice of selecting numbers or symbols. It’s also useful to notice how they incorporate levels of play and achievements. Ask yourself whether you think the game goal (releasing fire flies) is appropriate for the game’s target audience. How much repeat play do you think the target audience would do? If the sign-ups for our learning game design workshops and Primer on Play workshops are any indicator, learning and development professionals are clamoring for solid guidance on how to get started in learning game design or “game-based learning.” I love designing learning games, and I also love helping others design learning games. But because not everyone is going to be able to come to our workshops—or wait for one—I’ve decided to do a blog series to help folks get started. This post offers a brief summary of each step while my subsequent posts in this learning game design series will drill down into each one separately. Pre-series disclaimer: I’m going to write about these steps individually, but they are actually quite iterative. Steps 1 and 2 work together—playing games without learning game design terminology makes it difficult to evaluate them well. Steps 4 and 5 also go together because dumping ADDIE means you are play testing a lot as you design and develop. Step 3 (think about the learning) happens by itself as an initial analysis and design task, and then continues throughout Steps 4 and 5. As you iterate your design, you constantly have to reconsider how well you are achieving the learning goals. I will introduce the steps separately and describe them, but it’s up to you to integrate them and make them work together for you as you design your learning games. That’s part of your mission! If you don’t like playing games then you probably shouldn’t try to design one—unless you want to be miserable. Although most people do like games, there are people out there who simply do not like game playing. These people will NOT make good game designers. If you do like playing games, then you are at a good starting point for designing one. Game design is a bit like writing a book; you would never attempt to write a book if you first hadn’t spent time reading and evaluating several books. So we’re clear that you need to play games, and you need to play a lot of different types of games. Even if you think of yourself as a card player, but not a videogame player, you still have to be willing to expand your horizons and explore different genres and game forms. You need to evaluate whether the games are fun, why they are or aren’t fun, and what elements might be usable in a learning game. Step 2: Get familiar with game elements and how to use them. I told you the steps were iterative. As you play games, know what you’re looking at and what you’re doing. Get a good book (or two or three) on game design and learn the terminology used in the industry. Elements to know include game dynamics, game mechanics (fancy word for rules), resources, levels, reward structures, etc. Step 3: Think about the learning first—and then the game. This is a blog series about creating learning games. The part of ADDIE that you definitely don’t want to dump is the “A”— analyzing what your learners need to know or be able to do, and what they already know and can do. Your game will fit into those gaps. Your instructional objectives should drive the game’s design. The game design should NOT drive the learning design. The biggest mistake novice learning game designers make is to insert too many game mechanics into the game simply because they are fun. Example: it can be really fun to go to an in-game store and purchase supplies with currency you earn. However, if there is absolutely no learning point to this game activity, then you shouldn’t do it. Step 4: Dump ADDIE. Go agile instead. 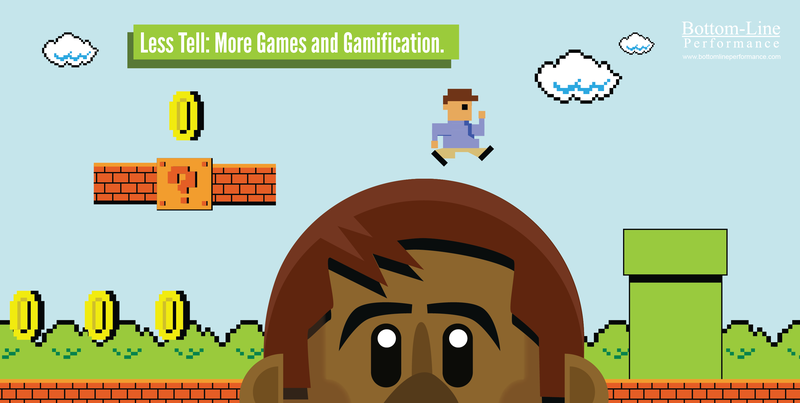 Creating a game is different than creating a workshop or a traditional “click NEXT to continue” eLearning course. You want to start with very rough/quick paper prototypes, play them, refine them, and then build another, more robust version. You keep refining as you go. In ADDIE, there is some room for “formative evaluation,” but it is limited. The assumption is that things will progress in an orderly fashion from analysis through final evaluation—with limited re-work between steps. With a game, you iterate fairly quickly and add layers of complexity and sophistication to the aesthetics as you go. You add and subtract game mechanics based on what you see as you have people play. You need to be okay doing this and not feel like you failed if you dump a design idea after you are three iterations into it. Step 5: Play test. Play test. Did I say play test? It is not enough for you and your buddies to like the game you design. Having a group of subject matter experts play your game, and pronounce it good, is not enough. You have to have actual target players play your game, and you need to do a solid debrief with them to inquire about what made the learning experience good or bad (and what made the play experience good or bad). When I blog on this topic, I’ll share a detailed process on how to play test well. So fasten your seat belts, my mission is set to take off. YOUR mission—should you choose to accept it—is to read the blogs, execute the steps, and start designing learning games. The first step in becoming a game designer is to play games. We played several during the day; here’s the list of what we played – and what to evaluate by playing them. Every game I picked for game play was picked with a purpose – because it showcased something positive or negative about game design. Allows for several different win strategies. I’ve leveraged ports, focused on acquisition of Development Cards, pushed to build the longest road and acquire points that way, or focused on building cities as quickly as I could. I’ve won – and lost – with all strategies, depending on what my opponent chooses to do. I do not get tired of playing this game. Uses chance (in the form of a non-playing character called The Robber) to even out the playing experience – or to force the use of an alternate win strategy. A player who has been doing well can have the Robber placed on one of his resources, cutting off the flow. This forces the player to consider an alternate tactic. Conversely, a player who has been doing poorly can roll a 7, and get a chance to derail another player. Has a board design that allows for a variety of different play experiences and allows for different skill levels. There is a board set up for beginners and different setups for advanced players. Requires collaboration and competition. It’s difficult to win without collaborating at some point in the game. Collaborative focus. There is NO competition in this game. All players have to work together to steal treasure and escape from the island before it sinks. As the game gets tougher, it’s neat to see how people get more and more focused on working together to achieve the goal. Levels of difficulty. Through the use of a simple “water level” slider, players can adjust the game’s difficulty, going from novice to master level. Use of distinct roles. Each player gets a unique role in the game – with each role able to do something that no other player can do. This is a simple way to get people thinking about how to leverage each other’s strengths – and eliminates any focus on weaknesses. An ever-changing game board. Like Catan, Forbidden Island can be set up in a myriad of different ways, ensuring different play experiences each time. The complete lack of any achievements or rewards in this game. One of Karl’s “rules” for achievements and rewards in his book The Gamification of Learning and Instruction, is that you don’t need to reward people for interesting tasks – only boring ones. Machinarium is an old-style adventure game. Your goal is to move your robot through a series of obstacles. To get across each one, you have to figure out what resources to access and how to use them to cross the obstacle. The reward is in the problem-solving and strategizing. You don’t need badges or point tallies to motivate you. The sense of satisfaction you get is reward enough (if you like strategy games). The aesthetics. The landscapes you cross are super cool and fun to simply look at. The focus on exploration to discover “how to play.” There are no game directions. 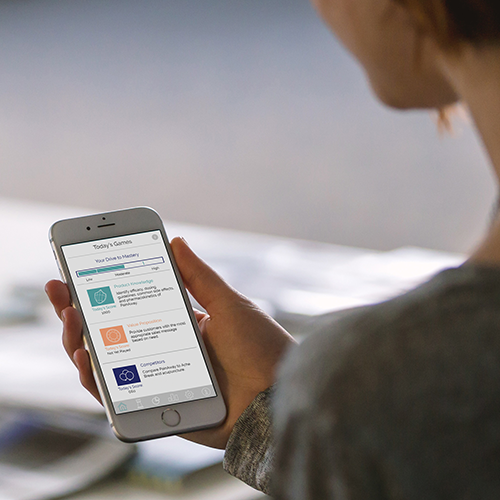 Traditional elearning wants to tell you what you are going to learn, give you explanations and orientation to the course, and basically hand-hold you through the experience. This game dumps you into the first landscape. You figure everything else out from trial and error. There is one hint available for each landscape…which you also have to figure out. The use of time. Everything you do is timed – and each time you are successful, the difficulty level ratchets up with you getting LESS time for your next grading task. The use of negative feedback. Traditional wisdom dictates that feedback should be positive and reinforcing. Professor Snerpus constantly berates you – and you keep playing to see what new snarky comments he will direct your way. The use of story. There is a nice backstory to this game revolving around your voluminous student loan debt and your need for indentured servitude to Professor Snerpus to help pay down the loan. The aesthetics. They are super-simple but captivating. The use of Facebook posts to offer scathing commentary from Professor Snerpus’s students is humorous. The scoring mechanism. The use of a loan that needs to be paid down to show your game progress is clever and different. The target audience – college students – can relate. The use of levels – there are a variety of levels of play and types of play, keeping the game interesting. On the negative side, there isn’t a strong enough correlation between the “teach” moments in the game and the activity. Professor Snerpus delivers periodic lessons on grammar rules. These lessons don’t necessarily line up with your next grading activity, which is a weakness that could easily be overcome with a design adjustment. Measurement achievements coupled with completion achievements. DragonBox does what several games do. It gives you a star rating based on how well you solve the problem. One star indicates you did solve it – but not very efficiently. Three stars indicates you solved the problem with as few steps as possible. Another rule given in Kapp’s book is to focus on the use of measurement achievements instead of completion achievements when designing learning games. This game offers a great example of this. A single star does indicate completion – but the goal is to get three stars, not just one. Simplicity. This game uses a simple technique for teaching and requires no upfront explanation on how to play. A tutorial round at the start of the game helps guide you to how to play. After that, you are off and running. Aesthetics. The dragons are really, really cute. On the negative side, there is NO explanation of algebraic principles – just illustration via the game play. I’m not sure how well a student would “learn” algebra simply from playing the game. I think it would be a terrific complement to a teaching experience where concepts were explained (solve for X, isolate X, etc. ) and then students were allowed to play. Rise of the Blobs – this is an example of what NOT to do with rewards and achievements. You get some sort of reward or achievement for practically anything you do – and they are so numerous as to become confusing. Play this game for an example of what not to do when designing a learning game. The game goal – does it appeal to a wide or narrow audience? I’ll let you decicde whether you think the goal of capturing fire flies will appeal to a broad segment of the target learners/players – kids in elementary school. The use of resources – players acquire numbers or symbols that they use to solve problems. They can only keep a certain amount of them in their bank at any one time. I thought this incorporated some strategy in game play. What do you think? Knowledge Guru- I used the Knowledge Guru game engine to create the “Game Design Guru” game we played to reinforce game design lingo and techniques. The game goal and mechanics are explained throughout this site, so feel free to explore if you are interested. The Forgetting Curve is a phenomena I discussed where people “forget” what they’ve learned within specific amounts of time. It’s explained in this Wikipedia article. 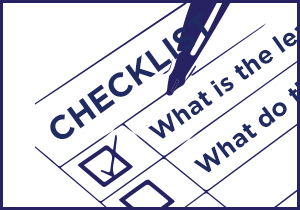 Will Thalheimer questions its exactness in one of his Will At Work blog posts. Regardless of specific percentages, people do forget – and it can be a ton that they forget very quickly. Well-designed games can help people retain content and retrieve things from memory. The Gamification of Learning and Instruction. This is Karl Kapp’s book. It has a wealth of information. Chapter 4 is devoted to research on games. We will be delivering “Play to learn” again August 28th in Indianapolis, Indiana. The session will be held downtown. If you have a colleague who would benefit from this workshop, pass the link on. Ladies and gents, welcome. We’re happy you have found your way to TheKnowledgeGuru.com… home of our Knowledge Guru™ suite of products. This is the Learning Game Design Blog. Some of you may read our weekly posts on the Lessons On Learning blog. 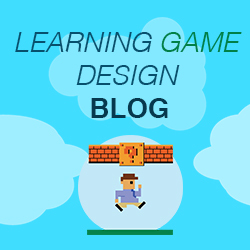 We use that blog to discuss all things learning design, and games are a frequent topic on that blog. By adding this blog to the mix, we’ll be able to get even more hands-on with game based learning and increase the amount of content we share every week. It’s an exciting time to be in the learning and development field. We’ve come a long way from the Click Next days of yesteryear… or so we say. Game based learning, gamification, mobile learning, and The Experience API (Tin Can) have opened the door wide open for new, innovative learning solutions… but a big chunk of the learning we see produced is still not what we all consider ideal. It’s up to those of us who truly believe learning can be fun and engaging to pave the way forward. The body of research supporting game based learning keeps growing larger, but lots of organizations are still at the starting line, trying to chart their course. We’re here to help. Obviously, we will use this blog as a place to announce updates and expansions to Knowledge Guru. 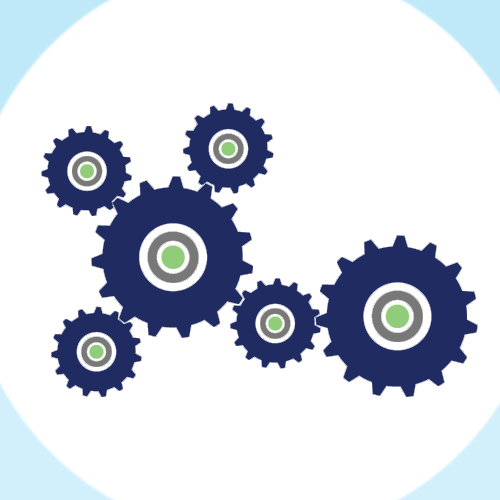 We’re launching the new Game Creation Wizard at ASTD ICE in just a couple of weeks… and it lowers the barrier of entry for game based learning practicioners considerably. 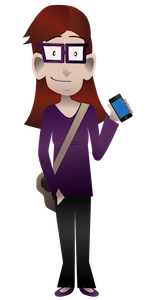 We’ll be offering a 30 day trial of Knowledge Guru, which means you’ll have an opportunity to see how game based learning works at no cost. But we’re also on a mission to educate the L&D community about the efficacy of game based learning and show the way forward. 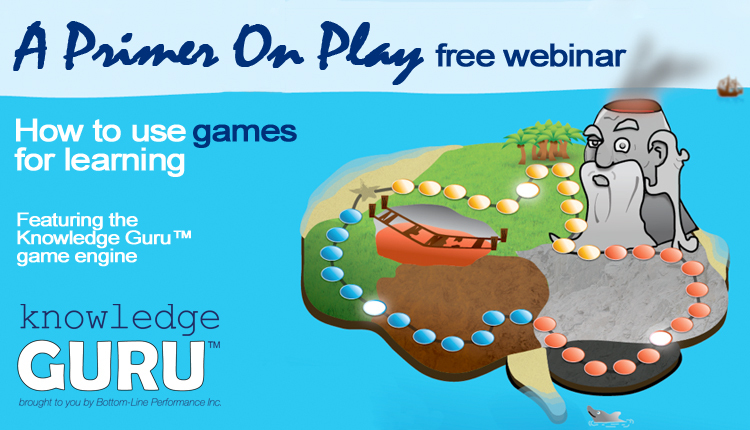 Our series of free webinars, white papers and low cost workshops are geared towards learning game designers of all experience levels. Sharon Boller, President of BLP and lead designer of Knowledge Guru, will be a regular contributor on this blog. 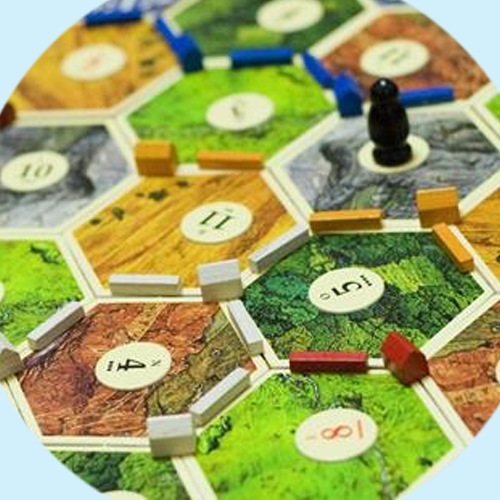 She’ll be kicking things off with a Game Based Learning blog series inspired by her experience designing digital and tabletop learning games for our clients. We will also use this blog as a home for the game based learning content we curate from around the web. 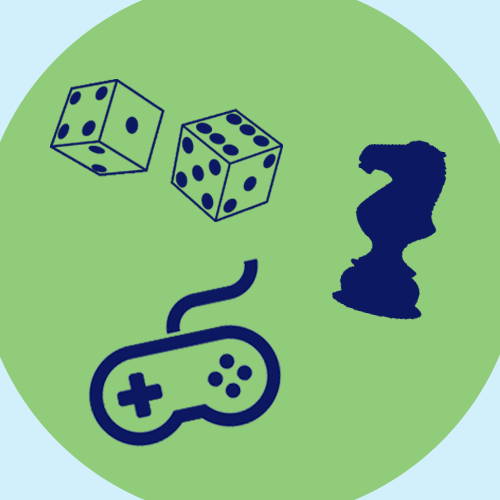 Our GBLPicks blogs will put the spotlight on a handful of articles on game based learning and gamification we’ve found valuable. Check back often and follow The Knowledge Guru on twitter to see the latest posts. You can also subscribe to our Game Based Learning Newsletter to get the best content delivered to your inbox every month. The sign-up box is to your right.